Explosive song and dance numbers, striking costume changes, and iconic personalities swarmed the house during the much-anticipated “Anne Kulit: Promise Last na ‘To” concert, which celebrated the one and only Anne Curtis’ 21st anniversary in the entertainment industry. On top of Curtis’ performances with superstars James Reid and Regine Velasquez, among her most memorable tandems that night was the one with Sarah Geronimo. 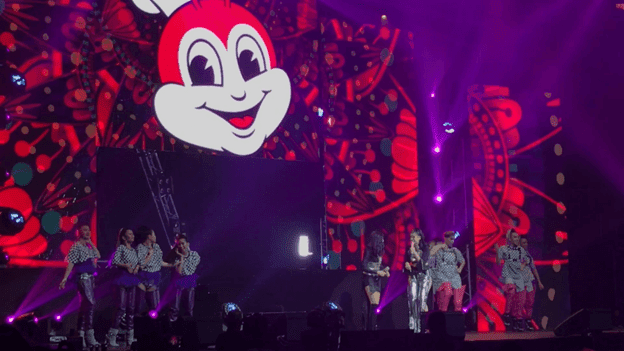 The Queen of Pop took centerstage with Curtis to belt out “Linamnam Ulam”, the catchy jingle of Jollibee Burger Steak which was based on Sarah G’s original “Tala” anthem. “Linamnam Ulam” has spread its beguiling tune throughout two Burger Steak commercials, radio programs, and mall activations, leaving people dancing and singing their way to the nearest Jollibee store for their own bite of the deliciously beefy-saucy Burger Steak. As one of Jollibee’s best-selling offerings, Burger Steak has captured the hearts and taste buds of generations of Filipinos through two-in-one savory goodness with every bite. With its 100% pure beef and flavorful mushroom gravy, you get dalawang linamnam sa isang ulam—perfect with a steaming serving of white rice! Like Burger Steak aficionado and endorser Anne Curtis, sing your heart out for your linamnam ulam craving and solve it with Jollibee Burger Steak!